This time of year, the grapes are hanging heavy on their vines in the Finger Lakes Region of New York State, and harvest time is here. Vineyard owners are working 18-hour days picking, destemming and crushing grapes, then siphoning the juice into holding tanks and fermenters. All in all, it’s a pretty hectic time. 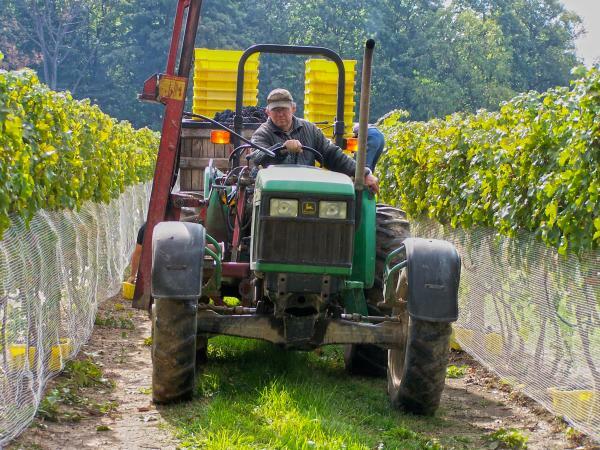 The Finger Lakes grape harvest typically lasts about a month, so a harvest started in late September could last until late October. Different grape varieties ripen at different times of the season. For the most part, whites are ready before reds, although there are exceptions; Pinot Noir is an especially early ripening red grape and Gewurtztraminer, a white grape is a usually a late harvest. Fall is also a busy time for tasting rooms at Finger Lakes wineries, as visitors travel throughout the region to enjoy fall foliage and stop to sample and buy local wines along the way. If you really want to immerse yourself in the Finger Lakes wine experience consider a Finger Lakes wine tour with a knowledgeable guide that will share the stories behind the wineries, deepen your understanding of wine, and relay the history of the region. Another way to experience Finger Lakes wines is to dine at one of the many restaurants featuring local wines on their lists. No trip to the Finger Lakes is complete without a taste of the region’s celebrated wines paired with the locally - grown produce which is so bountiful throughout the fall. The Inns of Aurora dining room offers a variety of wines from the Finger Lakes, including sparkling, pinot gris, and cabernet franc, along with a menu that sources from local purveyors and responsible harvesters. Moro’s Table in Auburn is another good choice with a menu that features quality, fresh ingredients from the region complimented by a wine list that always includes the famous Rieslings for which the Finger Lakes are so well known. 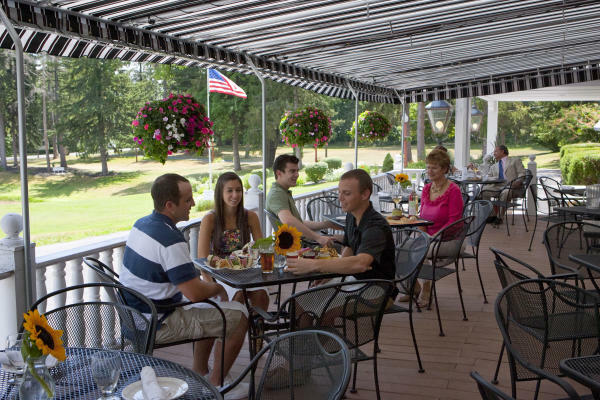 Another recommendation for a local culinary experience is Oak & Vine at Springside on Owasco Lake. This modern gastro-pub restaurant offers an array of American cuisine featuring locally-sourced seasonal products as well and a great selection of local wines and beers. 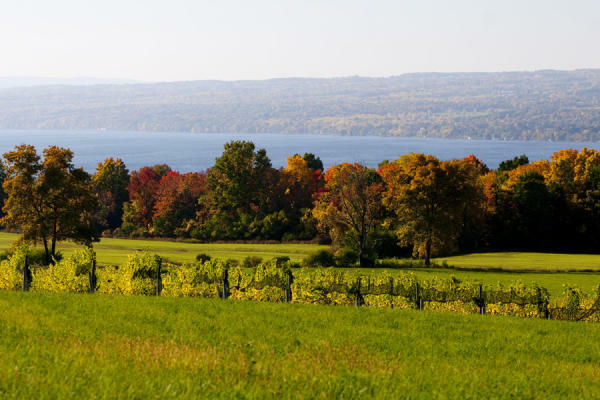 There is something special about every season in the Finger Lakes, but there is no better time to dine, enjoy great local wines, and take in amazing colors than during the fall harvest season.